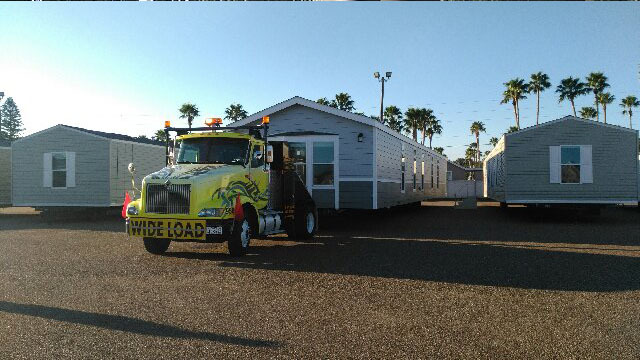 We are a licensed, bonded and insured company and our goal is to take care of your home as if it were our very own, making sure our customers are 100% satisfied and leaving them with peace of mind. 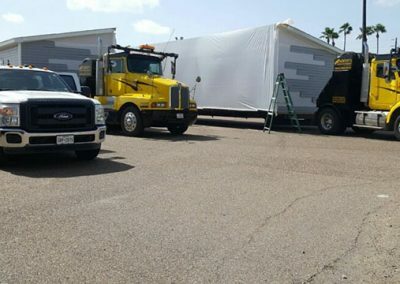 We offer state wide transport within the State of Texas and professional installation with the highest quality of inspected state approved set-up and tie-down materials. 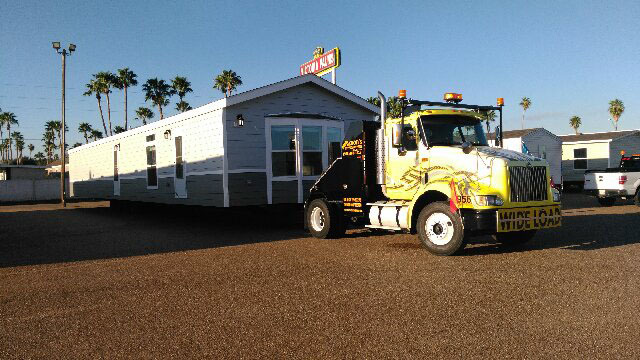 Please call us for a free estimate. 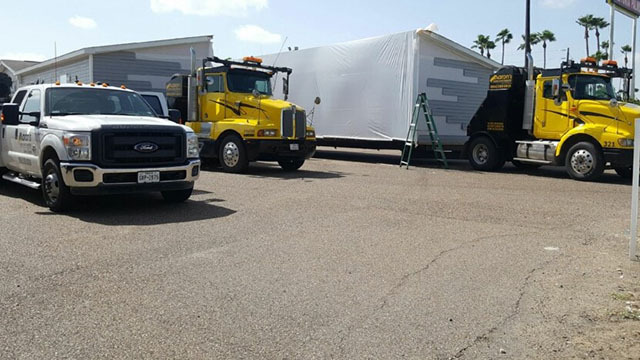 What sets Aaron’s Mobile Home Transport apart from the rest is that we have the most advanced state of the art equipment to take on any challenging task in wet or dry weather. 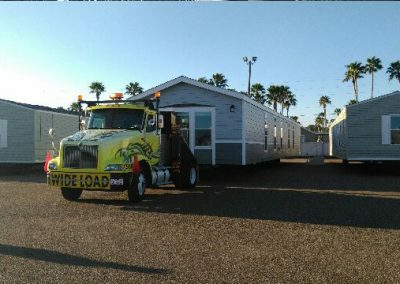 Our TOTER’S are equipped with winches, advance hitch systems, and power mirrors to assist with any tight areas within your property. 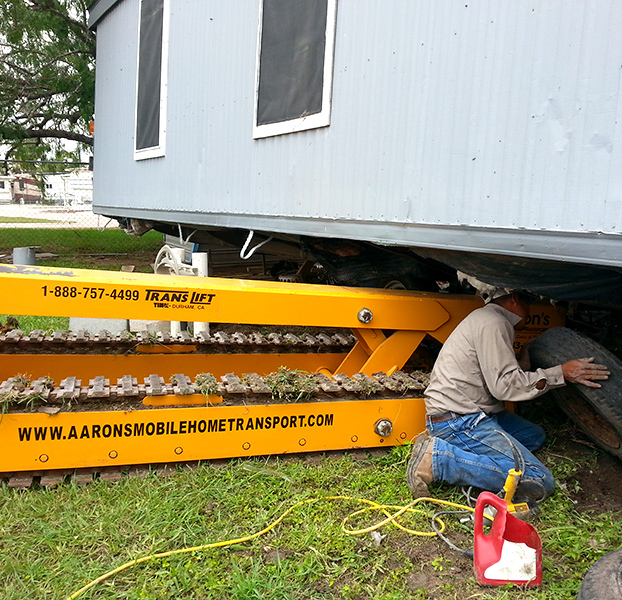 The TRANSLIFT is a machine that is designed to increase the quality, speed and safety of mobile home installations and set-ups. 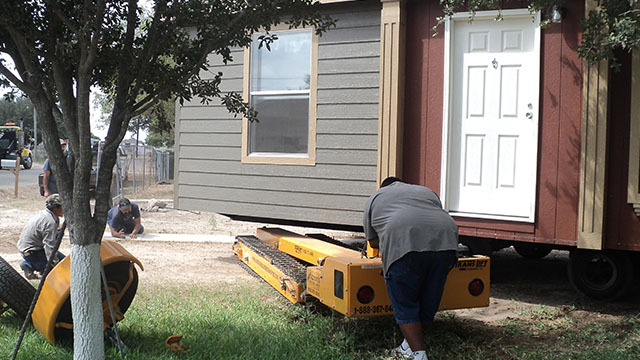 The BOBCAT is primarily used for the grading and leveling of the property for proper sight preparation. 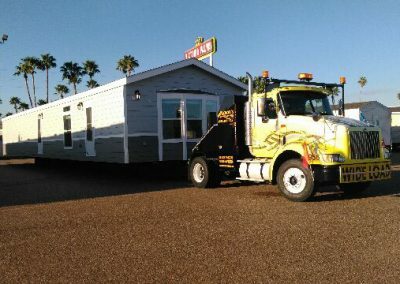 Our DUMP TRUCKS will deliver or haul off any excess dirt, gravel, and caliche for sight preparation. 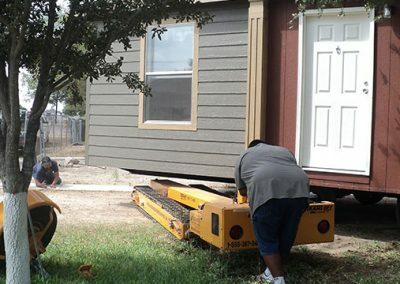 Our BACKHOE LOADER and TRACTOR GRADER will remove any stumps and debris before delivery placement on your property.